2015 - The Butts surrey, restored by RAHS in 2014, won first place in in the Novelty category for the Rochester Hometown Christmas Parade Dec. 6. 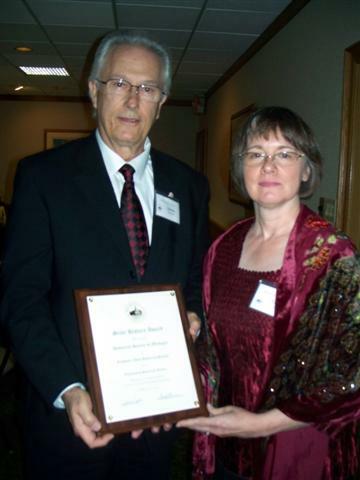 2013 - RAHS won the Earl Borden Award in 2013 for the Oakland Regional Historic Sites website. 2012 - RAHS won the Rochester Area Chamber's Sunrise Pinnacle Award in the category of Arts & Culture in October 2012. 2012 - The Rochester Avon Historical Society received a 2012 State History Award at the Historical Society of Michigan's 138th Annual Meeting and State History Conference held September 28-30 in Monroe. 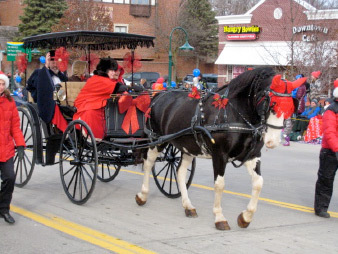 2015 - Past President Rod Wilson and his wife, Susan, selected by the Rochester Regional Chamber of Commerce as Grand Marshals of the Rochester Hometown Christmas Parade. 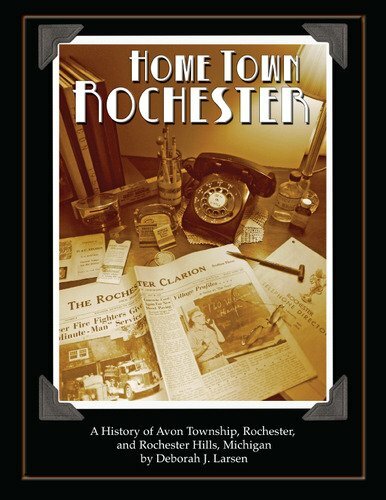 2015 - Donated copies of RAHS Home Town Rochester books to all schools in the greater Rochester area. 2014 - Restored the 19th century Butts surrey, built by the Dunlap Vehicle Company, which played an important role in the formation of General Motors. 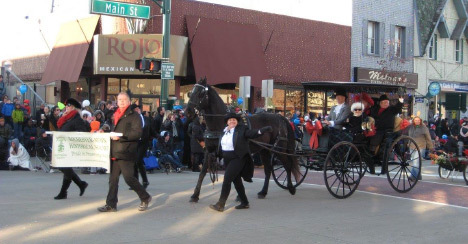 RAHS debuted the beautifully restored surrey in the Rochester Hometown Christmas Parade on Dec. 7. 2014 - Published the book, I Got My Thrill on Newberry Hill, Rochester Area’s World Renowned Ski Jump, written by Penny (Frank) Reddish, which tells the history of the tallest ski jump in the Lower Peninsula. 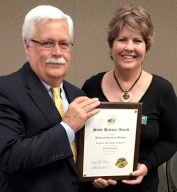 Penny won the 2015 Earl Borden Award for Preservation Leadership from the Rochester Hills Historic Districts Commission for writing the book.